Some friends and I had been talking about a quick weekend adventure. 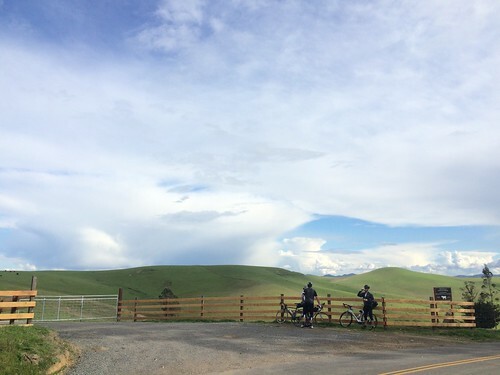 We had in mind a ride that would leave our respective houses in the east bay, and with minimal logistics, hit the open roads for an out-and-back ride. During our ride, we thought that it would be a great idea to write a quick summary of our ride in a format similar to a cookbook recipe with a quick recap of equipment, route, lodging, activities, etc., so that it would be easy for someone else to replicate the ride or that we could quickly recreate a ride in the future. Extra tubes, patches, pump, etc. 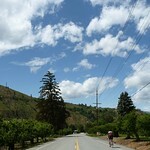 Marin Sun Farms – Great lunch spot on day 1, which was 40 miles into our rides. HopMonk Tavern – We planned this as our evening spot, and saw the band Hot Buttered Rum for some late-night bluegrass. Good Earth Natural Foods – This is a great spot in Fairfax to fill up water bottles (aisle 3) and grab a bite to eat. This is quickly becoming a go-to option for a weekend getaway. It’s a super-simple format, it’s relatively easy to plan, it allows you to go further out in a day than most loops, and it just feels good to get away for an entire weekend. I’m looking forward to developing some more out-and-back routes and hoping friends and acquaintances will benefit from these mini adventures and also share some of their own. This past May, Jessica (most people know her as JAC since those are her initials) and I left on a trip to Washington state immediately after finals. 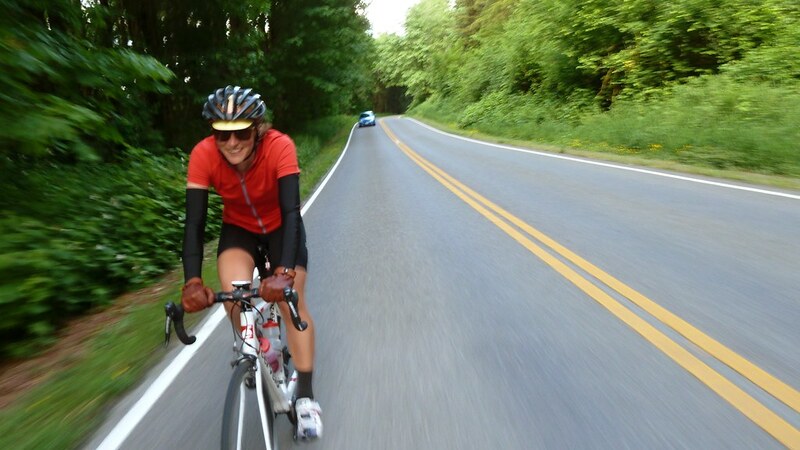 She wanted to recreate a trip that she had done many years ago that left her parents’ house in Snohomish, Washington, went up and over the Washing Pass in the Cascade Range, around central Washington, and up and over Stevens Pass on the way back to her parents’ house. 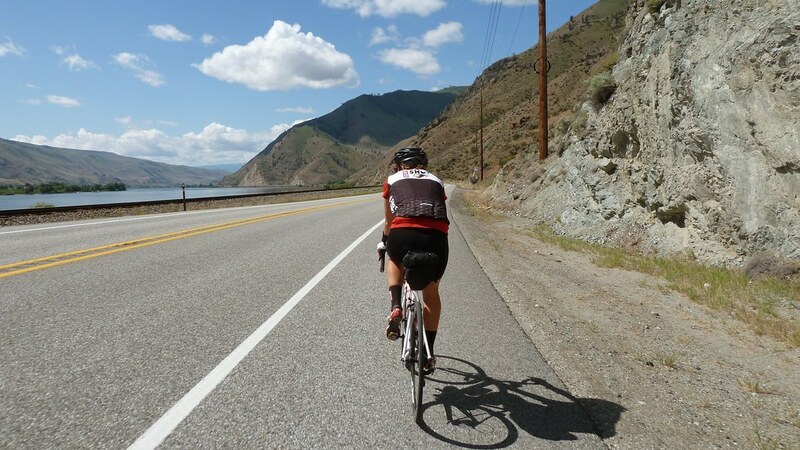 She had remembered it being one of the most challenging bicycle trips she had ever been on and wondered whether or not moving to California and cycling year-round would make this trip any easier. Conditions for this trip would be easier though since her parents offered to SAG for us the first three nights leaving us only the final two days of riding and one night on our own. Her previous ride was fully self-sufficient. 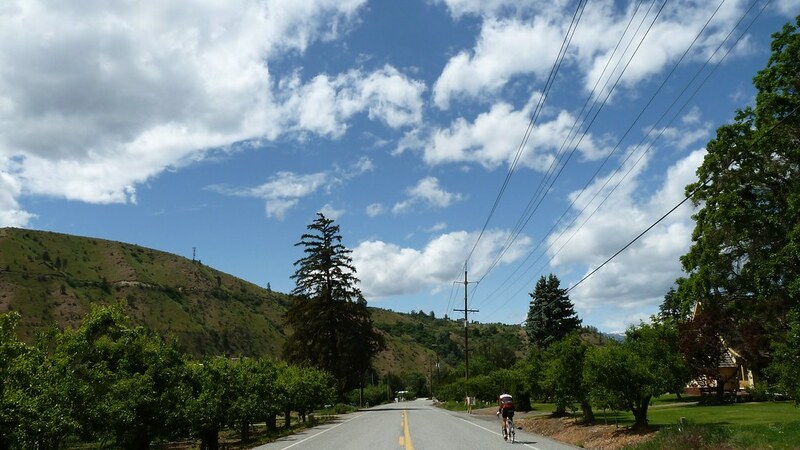 The first day took us from her parents’ front door to a town called Darrington. 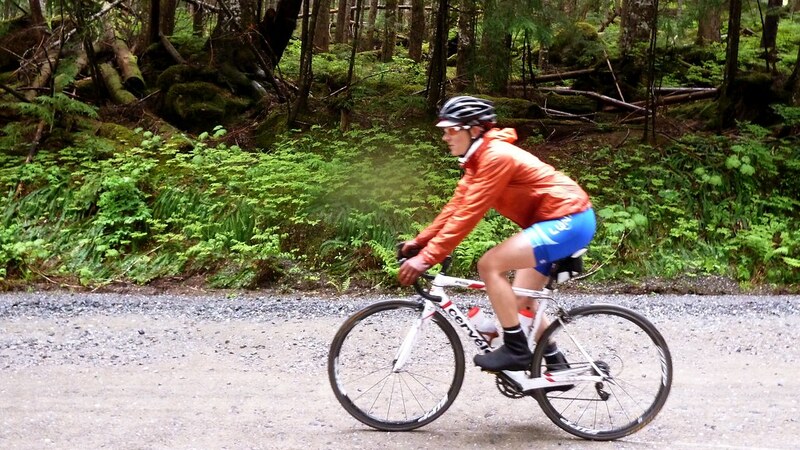 Because of the devastating mudslide that happened in Oso just a couple of months before our trip, JAC had decided to reroute us off of the main highway and onto a 15 mile gravel section. In true Washington fashion, the day was full of rain and it hardly let up. The gravel section started a little over an hour into our day and the first section was steep, muddy, and slippery. After we got into our groove in the mud and grit, we saw JAC’s parents for the first time in our ride and were happy to be greeted with hot drinks, chips and salsa. This particular day, it was really nice to have support as I don’t remember passing through many towns until we neared our cabin that evening. 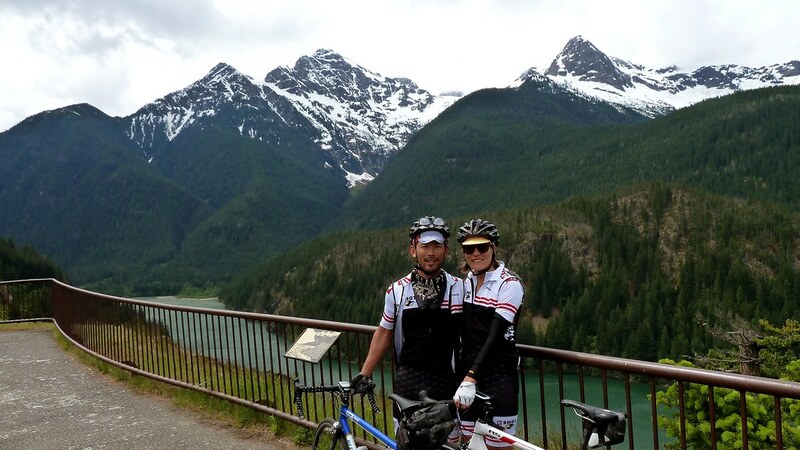 Day two took us up and over the Washington Pass in the Cascade Range. 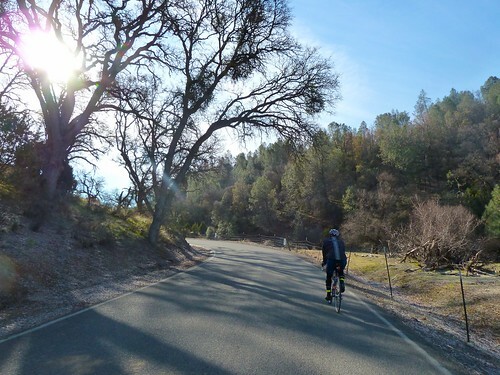 This was one of JAC’s more challenging days in the past, but because of all of the climbing we regularly do in the Oakland/Berkeley hills, we were pleasantly surprised about how gradual the climbing felt. 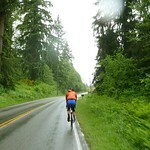 This was the first time in our trip that we saw other cyclist. 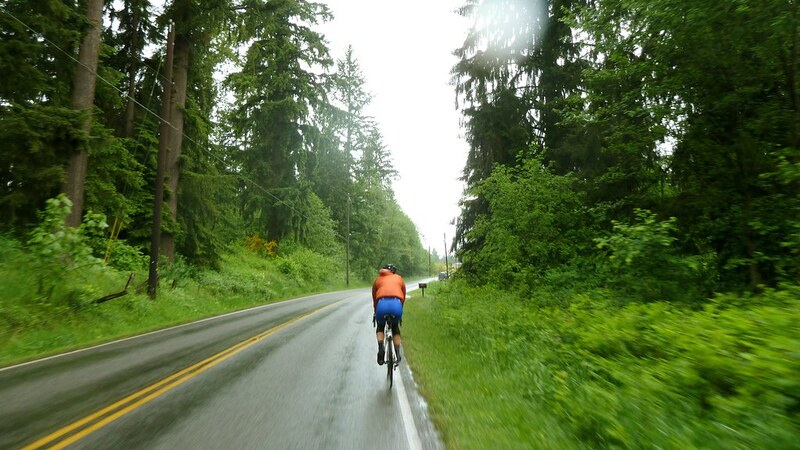 We even met a man – who had just set out on a journey to ride from the Washington coast to the Midwest – asleep in a ditch by the highway. 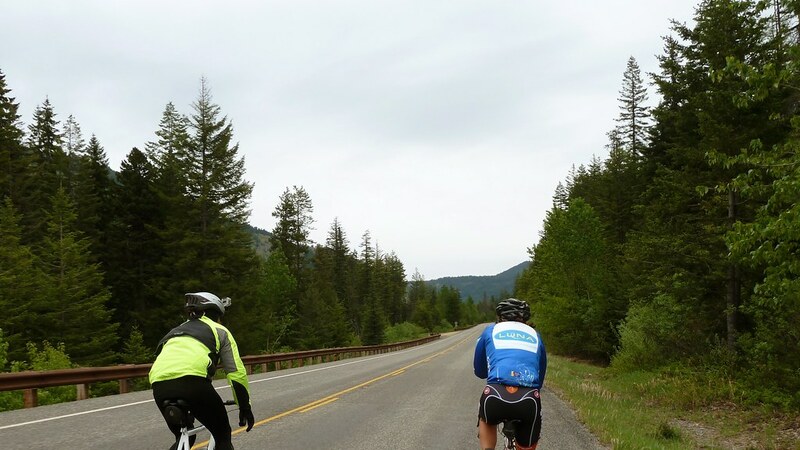 This stretch of road is along the main transcontinental bicycle route, so we encountered one other couple making their way across the country. 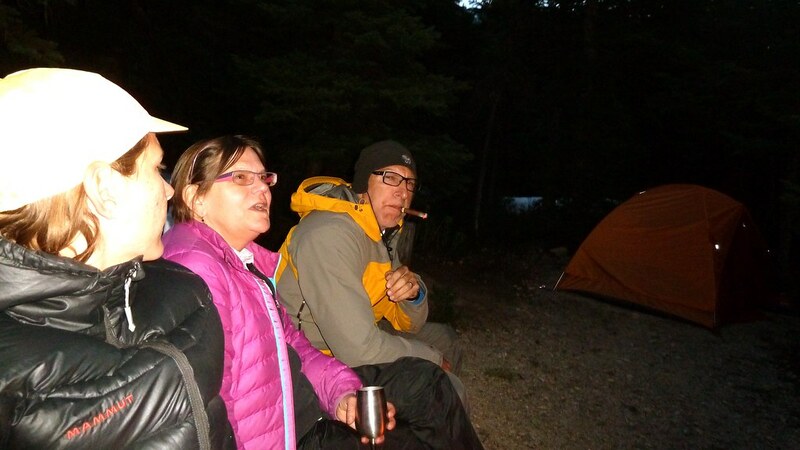 A group of five cyclists and JAC’s parents all converged upon a campsite that is just on the eastern side of the summit, where we feasted on teriyaki-chicken-and-bean wraps and shared stories in front of a campfire. 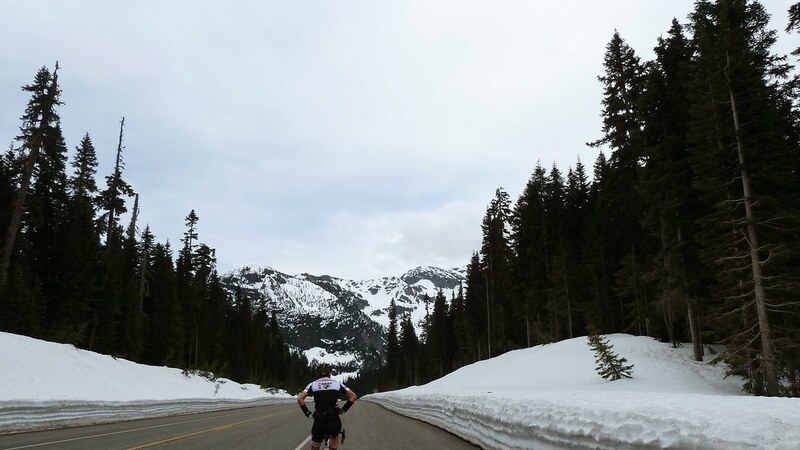 On day three, JAC’s dad Ed – who I discovered is the reason for JAC’s adventurous spirit – joined us for the 10-mile descent into Mazama. 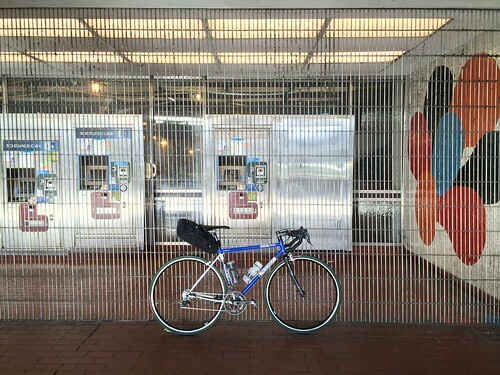 He shared with us that in retirement, it’s better to ride smart than hard. I think that’s something I will hold onto until I am a retired guy with a grin from ear to ear. Mazama, by the way, was one of the coolest little mountain towns on our trip. The market in town was a hub for climbers, skiers, and mountain bikers. I would love to make this a destination we stay at longer in the future when there is less road to cover. Most of the rest of the day felt like we were riding through a cowboy movie with all of the lush green pastures and countless river crossings. But all of the giant trucks and RVs made me feel like the cowboys had progressed to enjoy all the luxuries of modern America…maybe a little too much. Days four and three seem a little blurred in my memory. Both were relatively flat days with a lot of rivers, but this was the day that we said farewell to JAC’s parents until we saw them again in Snohomish. They had treated us so well by spending their days leapfrogging us and providing us with nourishment for our bellies and our spirits. By this point in the trip, we had become accustomed to screaming “ROCKS” at each other every time we saw a diamond-shaped sign with ROCKS printed on it. We didn’t see as many rocks as the signs might have suggested. 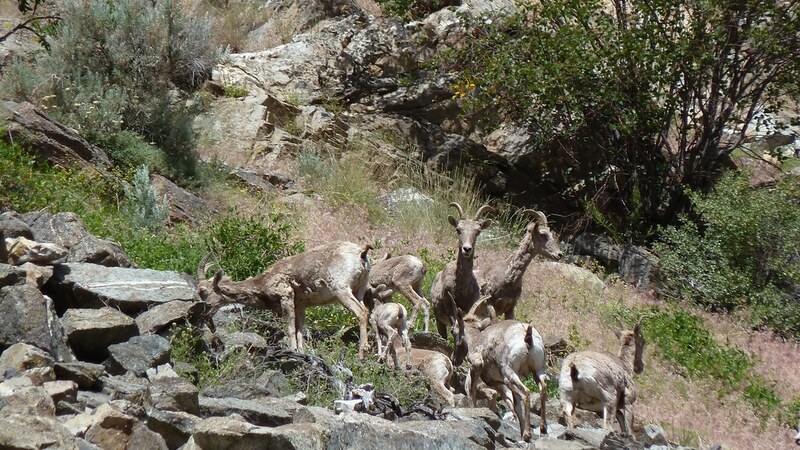 Also, we were curious if there were any mountain goats as the signs suggested as well. 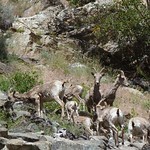 It turns out the mountain goats were just as elusive as the rocks, but we did spot a tribe of them. On our solo night, we stayed with JAC’s friends Mark and Becky in a Bavarian-themed mountain town called Leavenworth. Every business in this town must adhere to the Bavarian theme, so even the McDonald’s has a funny little variation on its logo to match. 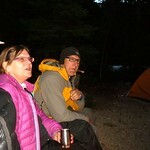 We had our proper fill of beer since we in the rhythm of doing that every night after a big day of riding. To be honest, I could ride big and drink beer every day for the rest of my life and I probably would never get tired of it. Mark and Becky were fantastic hosts and it was especially a thrill to see them when it had felt like we were in the middle of Merica for several days. Our final day of riding was so, so sweet. 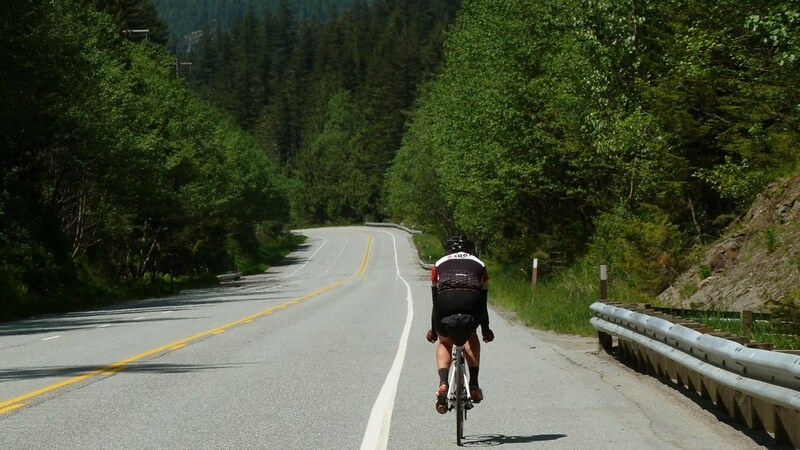 It is always such a great feeling to have many miles behind you and to realize what distances can be traveled by bicycle alone. So many special things happen when you are 100% in the present just pedaling, breathing, eating, and experiencing. 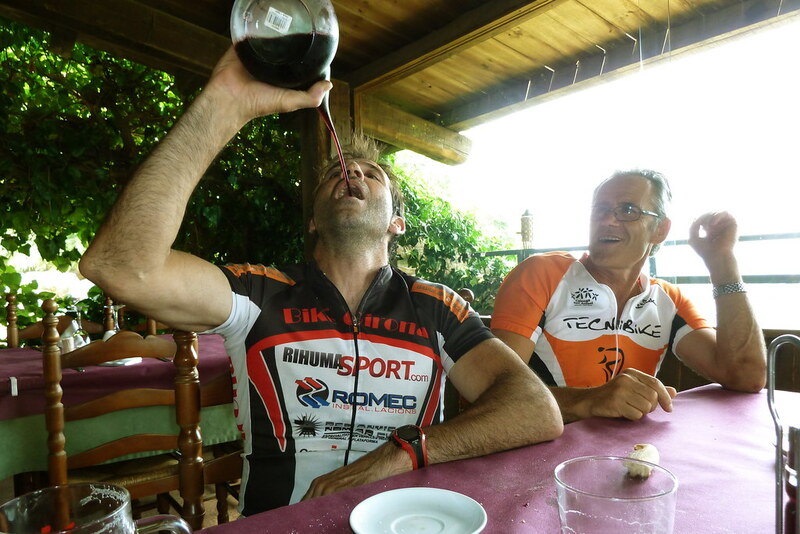 I like to profile some of my more memorable rides on this blog, and my summer trip to Spain and France was definitely one of the biggest highlights of my year. I recently became aware of the fact that I had only documented a single ride in 2013 and instead of letting these rides go unremembered, I decided that I would do a few posts as a cycling year in review. This past July, I met up with a friend of mine from my cycling club, Silas, and we decided to explore the cycling outside of Girona, Spain. I had read various articles over the years profiling Girona as a hub for professional cyclists to live and train during the months surrounding the European cycling calendar. 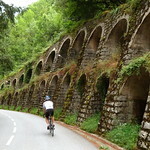 Already having plans to travel to the French Alps for the Tour was a great excuse to take a small excursion to Basque country to see what kind of cycling Spain has to offer. The riding did not disappoint. 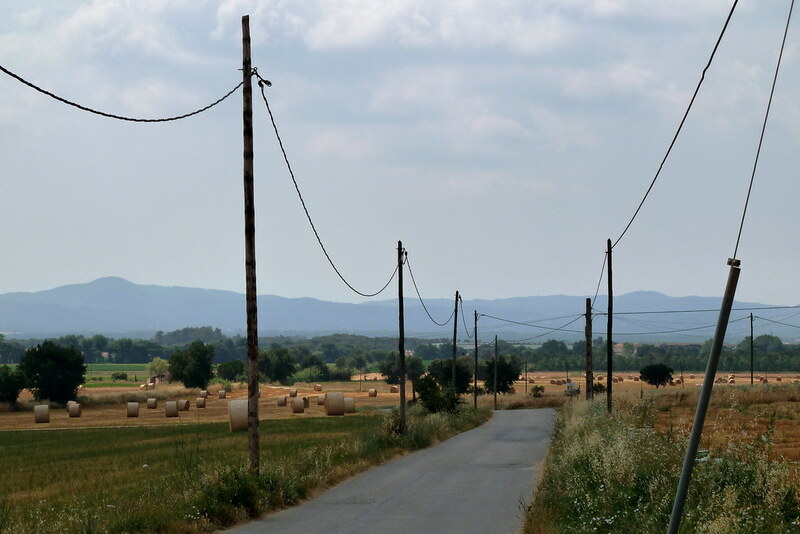 On day one, we took a train about an hour outside of Barcelona where we rode through the Spanish countryside pacelining on the shoulder of rural highways, meandering through small farm roads, and taking several gravel roads in our pursuit of the Mediterranean. We tried to navigate based off of screenshots of routes Silas had found online, and based off of my Strava upload, you can clearly see that we had no idea where we were going most of the day. Nonetheless, the riding was so much fun. Our ride took us to a beach town called Sant Feliu de Guíxols, where we ordered a couple of blended cocktails and gave our feet a soak in the cool Mediterranean. 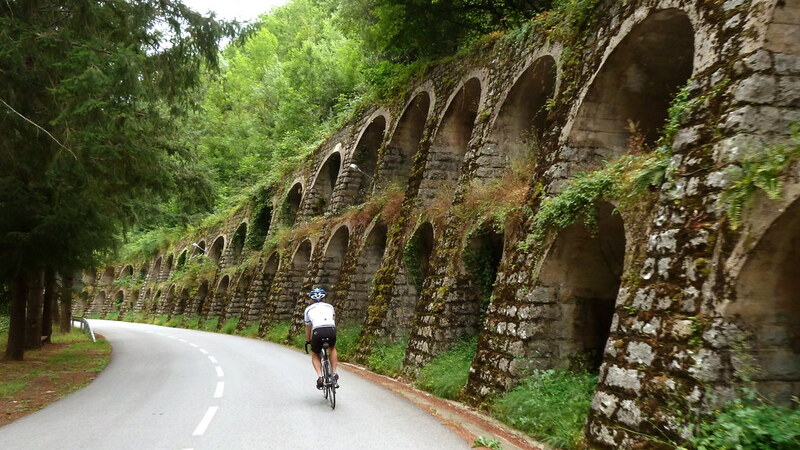 On day two, we were determined to find some of the climbing that famously surrounds Girona. 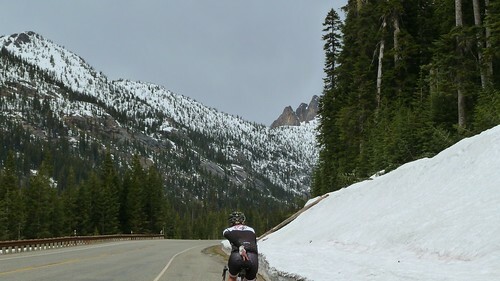 I had heard stories of professional cyclists using these mountains to train for the Grand Tour events, and Silas and I figured we better test our legs for the French Alps and the week following. 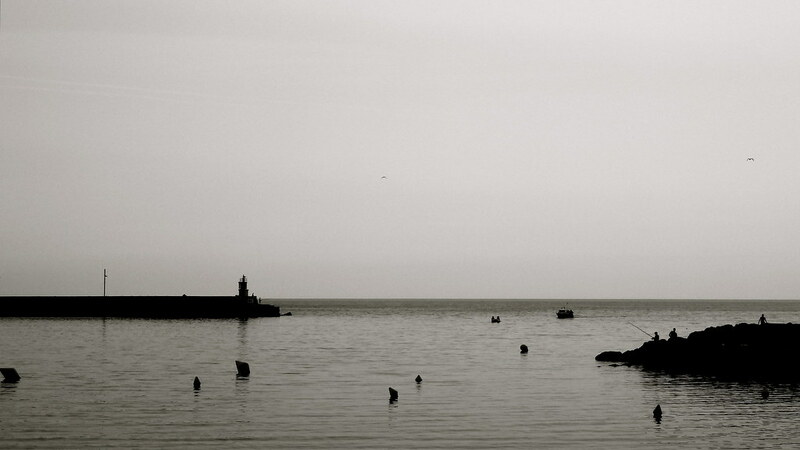 We took the train from Barcelona to Girona again and headed in the direction of Salt. Just past Salt, we began to see trails alongside the pavement and many mountain bikers. It felt like a significant contrast to the day before when we only saw the seldom road cyclist racing along the highway shoulders. Without much planning or any clear idea of where we were headed, Silas and I took a turn off of the main road at what appeared to be a municipal building. The road followed the Riu Ter for a while with a gentle incline and we continued to see more and more cyclists which was very comforting. 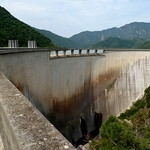 As we made our way up the river, we began to notice that the climbing that lay ahead would be very substantial. Around one bend, we came upon a group of five Catalan cyclists who were fixing a flat. We offered them help in Spanish, “Ustedes necesitan ayuda?” of which they kindly declined. 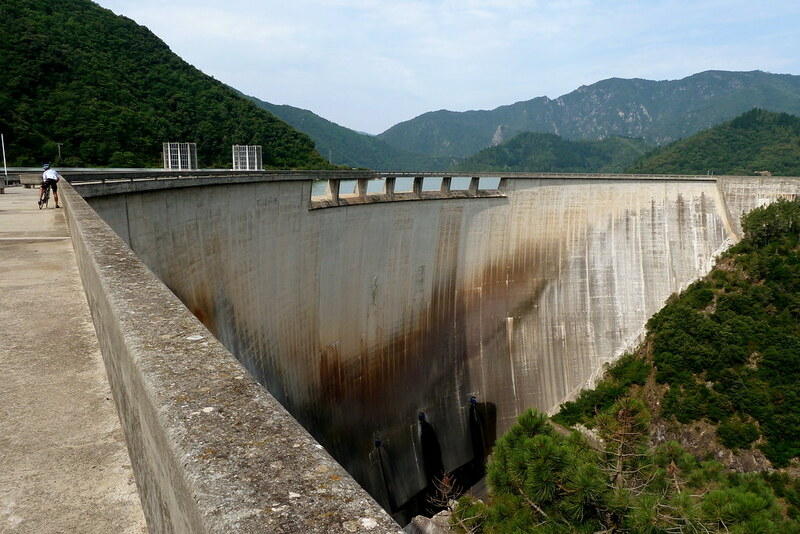 After the first pitch of the climb, we were atop a several-hundred-foot tall dam and we decided to ride the road that connected the two sides. After that little diversion, we began to leapfrog the group of cyclists we happened upon earlier since some of them were faster and some slower than our pace. They soon became very friendly with us and began to chat and joke around in Catalan while we tried our best to communicate back in Spanish. From some of what I could vaguely decipher from the words that sounded similar in Spanish and the body gesturing, I had the impression that they thought we were young, strong, and fast. We continued to ride as a pack at that point and the climbing just continued. After roughly 3,500 feet of climbing, the group pulled off at what I can imagine as one of the loneliest restaurants atop a Spanish Col. Silas and I continued up a dirt and gravel road so we could truly see the top, but as it turns out, the restaurant had the best vantage point. We descended back to the restaurant to be greeted by the same group of boisterous cyclist, now merrily eating regional cuisine and sipping wine from a very peculiar, but elegant looking vessel. They quickly yelled a bunch of greeting in Catalan and waved us over to a couple of empty seats at their table. 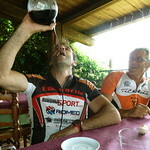 Then they proceeded to teach us the proper way to drink wine in Catalonia. The vessel had one large opening like the opening of a carafe and another small pointy opening that narrowed to about the size of an eye dropper. Wine was poured from the the smaller opening straight into the mouth and the arm was extended as far as possible. Then everyone cheered. Since I started school about a year ago, my mileage has been showing a pattern of dropping off significantly during the semester and rising significantly when on break. I decided I would try to squeeze in some bigger rides in the month of January, and yesterday I went on probably the coldest ride I have ever been on. It was 28 degrees at 7AM when we set out on our ride. 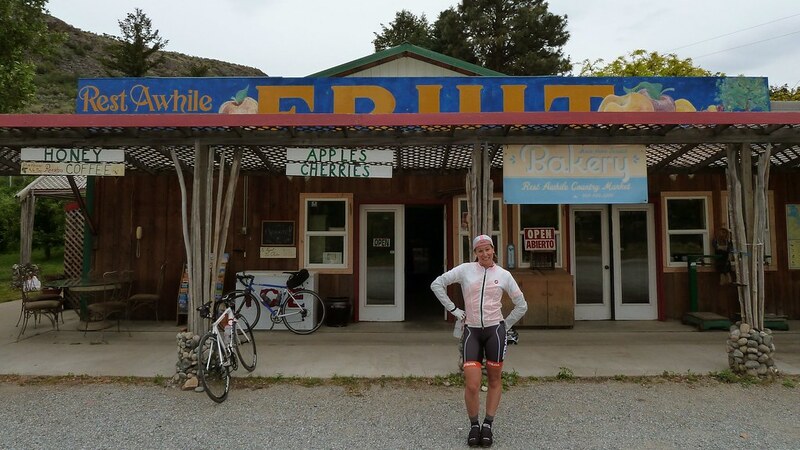 I wore more clothes than I have on any previous ride and almost decided against some of the articles of clothing thinking that I would be too warm on the ride. My feet were numb for the first couple hours of the ride, my hands cold throughout the ride (even with two pairs of gloves), and I had a couple of uncontrollable bouts of shivers. Yet somehow even with 125 miles of frosty roads and over 11,000 feet of climbing, our band of six randonneurs managed to maintain smiles throughout the day and kept our curses (towards the jerks that thought this ride would be a good idea) to a minimum. It’s funny the things you will put yourself through in order to forge an epic ride into your memory.